Below overview checks which Google products directly make money for Google in terms of being paid for by the user, or having ads or affiliate links. Indirect effects on revenues (as well as some other things) are disregarded for this purpose, but not because the effects are necessarily neglible. * The table is just an estimate â€“ if you see ommissions or misses please comment and Iâ€™ll update the table. Google Web Search x âœ” x Imagine the extra cash Google could make by adding their affiliate ID to links pointing to Amazon, Barnes & Noble, and other miscellaneous shopping sites. If you enter Romeo & Julietinto Google and then buy the book, Google would get their share of the sale. This would come at the expense of neutrality and karma, and it might make new enemies because the commission money would be taken away from Amazon, Barnes & Noble etc. Google Image Search x âœ” x Ads currently seem to be limited to the US. Google AdWords âœ” x x You can set your own budget for ad campaigns. Google AdSense x âœ” x Google AdSense pays webmasters a commission from ad clicks. It serves from ad campaigns launched in the AdWords systems, though the AdSense site itself is ad-free. Google mobile services x âœ” x Thereâ€™s the Google Mobile Ads program part of AdWords, YouTube mobile tested ads, and thereâ€™s AdSense for Mobile. YouTube x âœ” x Ads are shown in videos on the site and embedded ones, as well as next to videos on the site. Google Earth partly x x Google Earth is available as a free, as an â€œAdvancedâ€ version for $400, and as an enterprise version. Google Maps API partly x x The basic Google Maps API is free but the â€œGoogle Maps API Premierâ€ program is the paid version. Google Docs partly x x Google Apps includes Google Docs and is paid. Gmail partly âœ” x As above, Google Apps includes Gmail. Google does not affiliatize links to shops sent in emails; imagine if they did. Google Shared Storage âœ” x x This program allows you to buy extra storage for use in other Google products, like Gmail. (Is there any other program besides Gmail and Picasa Web Albums for which this can be used for?) The current pricing is 10 GB for $20.00/ year up to 400 GB for $500/ year. iGoogle x x x iGoogle is the customized flavor of the Google homepage. Like the Google homepage, it doesnâ€™t run ads (except those within specific gadgets), though as opposed to the Google homepage at least on iGoogle there would be content to target an ad to. Google Answers âœ” âœ” x The Q&A service is now discontinued, but AdWords â€“ pretty visible ones too â€“ are still running on the archived site (of which around 219,000 pages are indexed in Google). Picasa Web Albums partly x x You can pay for extra storage for your photos by paying for the Google Shared Storage program, which is listed separately in this table. Google Talk x x x Google Talk is available as a desktop as well as a web based program. Links pasted into the chat are not affiliatized. Google Catalogs x x x Almost deserted, but still available. Urchin âœ” x x Urchin is the paid desktop sibling of Google Analytics. A 30-day demo is available for free. Orkut x partly x At least in India, text ads are displayed. Google Calendar partly x x Available for free but also part of paid Google Apps. Google Shared Stuff x x x Another exotic page. Google Book Search x âœ” x Sometimes, Google Books runs ads. Google Apps âœ” x x Google Apps Premier Edition costs $50 per user per year. GrandCentral x x x Someone told me this service is free, and ad free. Google Video previously x x Google Video doesnâ€™t include ads (only insofar as it shows embedded YouTube video ads it might). Previously, Google Video had a paid (DRM) videos section, but it was cancelled (breaking the videos you had acquired, in DRM tradition). Google Chrome x x x Google could show ads in a browser, like Opera once did (Iâ€™m not saying that would be a goodidea, just pointing out the possibility). Ads could also be targetted to the page youâ€™re visiting. A browser could also theoretically (devilishly I guess) rewrite non-affiliatized links to shops to include an affiliate ID. Google Toolbar x x x Similar to above, a toolbar could rewrite pages to affiliatize links, and it could also use its limited space to show ad links. Google China Music Search ? ? ? You need a Chinese proxy as Google China Music geochecks your IP and blocks it if outside China. Things like ringtones available from the service may or may not be related to an affiliate partnership, but I have trouble accessing the site right now. Google Reader x x x No direct Google ads, though Google AdSense for Feeds ads or other RSS-ads might appear in Reader. Google Mini âœ” x x Aka the Google Mini Search Appliance for nearly $3000, and the Google Search Appliance. Knol x âœ” x Ads are shown in some articles. Authors can connect their AdSense account to their Knol account to receive a share of the paid ad clicks. Google Homepage x x x Google sometimes runs self-promotions on their homepage, but thereâ€™s no regular place for directly paid third-party product ads so far. Google China Dictionary ? ? ? This desktop tool, partnered with Kingsoft, is in Chinese. 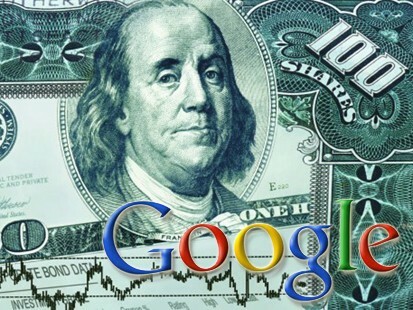 Do you know more about whether it contains parts which make Google money? Google Photos Screensaver x x x This is part of the Google Pack installation bundle. SketchUp partly x ? SketchUp is available in a free version. SketchUp Pro on the other hand costs â‚¬331 (with an 8-hour trial). The Google SketchUp tutorial books sectioncontains links to Amazon but Iâ€™m not sure whether theyâ€™re affiliatized. Google 3D Warehouse x x x This is for 3D models used in SketchUp (above). Google Chinese Pinyin IME x x x This is the Input Method Editor for Chinese users, converting pinyin to Chinese characters. Dodgeball ? ? ? This Google-aquired mobile social network service is not honed much within Google, its founders (who left Google at one time) suggested. Does anyone know more about where this service might make money? Google Site Search âœ” ? x A search service for your site or sites. Ranges from $100/ year (for up to 5,000 pages) to $2,250/ year (for up to 300,000, according to Google); prices beyond that need can be privately discussed with Google. Google Custom Search Engine x âœ” x This is the free site search variant (see above). Google Friend Connect x x? x Does anyone know if Friend Connect features ads anywhere? Jaiku x âœ” x Iâ€™m being told this Google-acquired service currently does not have paid options, but has ads. Android x x x Android is the Google-led open source mobile OS framework and getting its code base does thus not require payment. Google App Engine likely x x App Engine is and will be free for starters but Google announced in the future, you can unlock new quota limits by paying. Googleâ€™s expected pricing was announced to be â€œ$0.10 – $0.12 per CPU core-hour … $0.15 – $0.18 per GB-month of storage … $0.11 – $0.13 per GB outgoing bandwidth … $0.09 – $0.11 per GB incoming bandwidthâ€. Google Alerts x x x Not to be confused withGoogleAlert.com, which predates Google Alerts and is paid (from a free trial up to nearly $20/ month). Google Checkout partly ? x From a buyer perspective Google Checkout is free, but sellers need to pay a commission (unless they run their product offering as AdWords). Google Life China As far as I can see there are no ads in Shenghuo, Googleâ€™s knowledge search for Chinese users. Google Site Navigation China x x x Daohang is a web directory for Chinese users. I donâ€™t see any ads on it. Tianya Q&A China Wenda is part of Google-powered Chinese Tianya. Tianya Come Here China x x x Laiba is a Google-powered social network part of Tianya. Iâ€™m being told it doesnâ€™t contain ads. Google mobile converter x x x This proxy converts pages to a more bare-bones version suited for contexts like mobile browsing. Google AJAX API ? x x Does the AJAX API ever insert ads these days? Google SMS Channels India x x x This free service lets you subscribe to SMS information. *Take Google News, for instance: even though itâ€™s ad-free, the service may bring more users which then also visit other ad-supported Google sites; it powers some ad-supported services like the Google AJAX API; adding ads may have costs of more people attacking the service questioning its fair use of thumbnail usage, and so on. Or imagine the negative effects on usage and thus ad clicks if Google were to make their web search a premium service, for paying members only. Background partnerships in which money or goods flow in either direction are also disregarded, e.g. I donâ€™t know who pays whom (if so) in the Google – TIME relationship that triggered the Google LIFE Photo Archive, I also donâ€™t know what YouTube partners pay for getting special pages. Also, not counting as ads for the purpose of this table are cross-promotions within Google products. What Danny Sullivan calls â€œpaid exclusionâ€ (i.e. Google making money in China while letting the Chinese government tell it which sites not to show in search results) is also disregarded for this table. Hello, dear colleagues. it is pleasant forum blog.drhack.net very much class and is stylishly made! It seems to me at a forum there is no section clever councils.